Our worship is centered in our sanctuary. For communion parishioners form a circle aournd our altar. A skylight directly above the altar allows natural light to suffuse the worship space. The eight large stained glass windows surrounding the altar feature oversize depictons of key figures important to us, including Jesus, Saint Michael, the Virgin Mary, and Saint Francis. The organ dominates the east wall. Note: more below the gallery! Click images to enlarge. 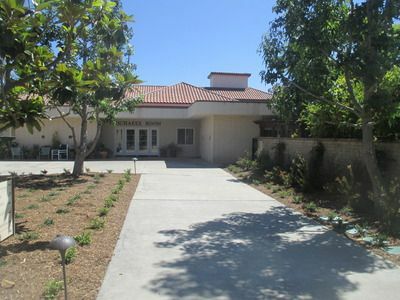 The Parish Center was remodeled between January 2000 and March 2001. It now features a multiple classrooms and a basketball court, in addition to a full service kitchen and childcare center. It is also the location of the Parish Office, and several other rooms that had been built for the original Parish Center. 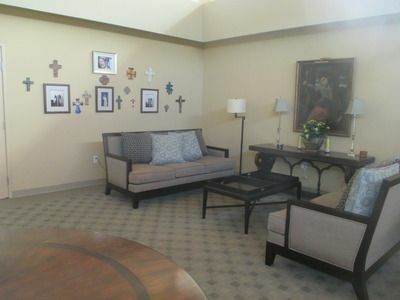 Michael's Room is at the heart of the Parish Center. 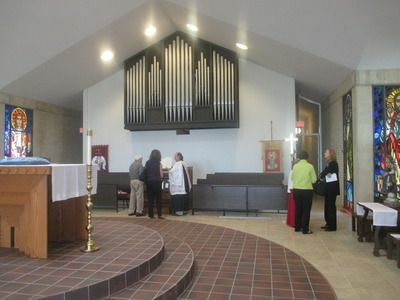 Six years after the remodeling of the Parish Center, it was redecorated to enhance its usefulness. It can be a place to sit and chat over a cup of coffee following worship. It can function as a large classroom, or a dining room, and sometimes both at the same time. The Davis Library, named after former Rector John Davis, contains a collection of books that may be checked out by parishioners. 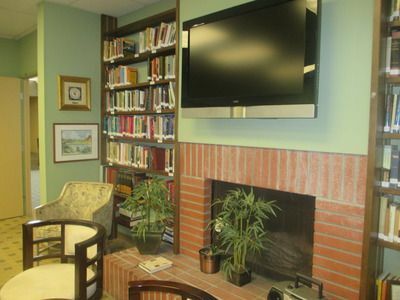 It features an HDTV which can also function as a computer monitor for the Adult Education classes held there each week. 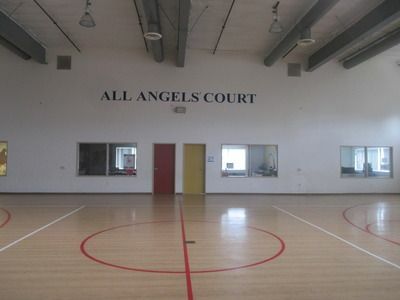 All Angels Court is a basketball court, as well as a large meeting place, or large dining hall, or large worship space. Vacation Bible School remakes the Court every year into a new location for our children to visit during the summer program. It has been Jerusalem, the island of Patmos, and Ireland, to name just few of these "sets" created to engage the students. Regular classrooms line the south side of the court. Just outside the Rector's office is Memorial Garden. In earlier days a church was often the site of the graveyard for the local community. 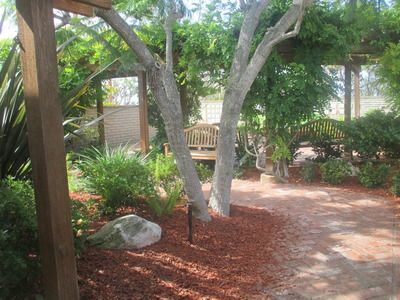 Memorial Garden is a place where the ashes of loved ones may be interred. It is quiet and peaceful, a place to come and spend time with those who have passed on.